After commercials showing people’s reactions when wearing Samsung’s virtual reality headset, VR became a very popular Christmas gift. Not just in the United States, but globally, the use of virtual reality skyrocketed in China’s property business. Chinese property firms have incorporated the innovations of VR into their business strategy. The largest manufacturers of VR are Japan’s Sony, South Korea’s Samsung, and America’s Oculus Rift. With the conditions of widespread scale production, large investments, and international assistance, China can potentially emerge as the center of the global VR industry. According to researcher iiMedia, China’s VR market is projected to rise to 55 billion yuan by 2020 from 1.5 billion last year. The growth in funds for the VR industry is an attempt by President Xi Jinping to rectify the current state of the economy by encouraging innovation and lessening reliance on heavy industry. Firms that focus on VR are analyzing growth projections in China’s market as the new and exciting innovations are quickly becoming popular. According to Huang Zhang, people are eager to use whizzy but imperfect technologies, giving it huge market growth potential. Baidu, Alibaba, and Tencent (BAT) have allocated funds for VR’s startups, including content creators. In addition, their respective sections of film are collaborating with content creators and financing in VR TV, film, and game content. Global venture capital seed funds such as startup accelerator 500 Startups plan to invest in the VR market within China. VR has the capacity to transform the entertainment industry by providing a one-of-a-kind experience. For example, China’s biggest e-commerce platform put GnomeMagicLab into place to produce content with the movie and TV sections. It will then team up with Alibaba Picture Group, which is investing in Hollywood movies. Alibaba is incorporating advanced technology, putting money into Magic Leap Inc. 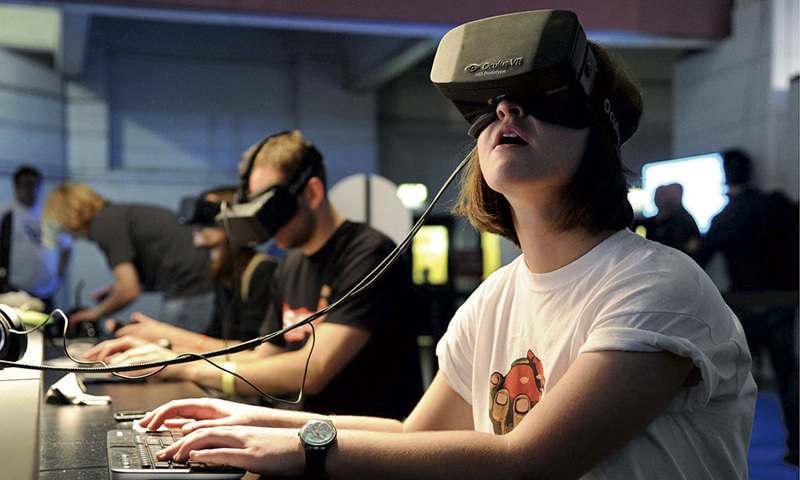 Doing so guarantees the development of a headset that superimposes images onto the real world. Tencent is increasing spending on videos, games, and anime comics to sustain the length of use and to adapt it to this new technology. It contributed to the streaming of VR concerts of South Korea’s popular boy band Big Bang and purchased the rights to at least 300 Japanese anime franchises. Unlike China, other countries lack resources for developing VR and the demand market has a narrow audience. Currently, a venture capital firm like Outpost Capital has to spend $1,000 or more to experience high-quality VR. By contrast, China has a developed infrastructure that gives people the opportunity to use it at an affordable rate. VR stores allow customers to undergo this experience immediately, with “realities” such as in-mall roller coasters. Since most of China does not have access to PC-based VR, out-of-home experiences give people the means to use high-caliber VR content, including HTC’s Vive goggles, through malls, Internet cafés, theme parks, and other commercial platforms. Incorporating VR into education could unlock many ways students can be taught, opening doors for students. A Chinese software company called NetDragon that obtained Britain’s Promethean World, an education firm, is experimenting with ways that VR can be implemented in schools. There’s some recognition that these VR companies are making overly optimistic predictions about the consumption of VR, but wealthy investors are currently financing these firms. 2017 is here, and virtual reality technology is paving the way in the future.